All items can be shipped worldwide door to door. 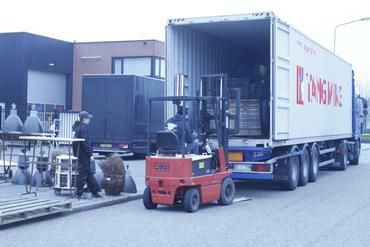 We deliver the goods to most European destinations ourselves. Besides that, we can contact several reliable transport companies to deliver your goods. With packing and crating we make sure your order gets at your place safely and in time. We are able to offer packing and loading of 20 ft, 40 ft , 40 HC ft and 45 ft containers all over the world..
Feel free to contact us for any further details!